Resembling Earth, Saturn features dynamic and glowing auroras at its poles. Using more than a few pairs of telescopic eyes, NASA has caught its best sight yet of these huge, spinning auroras. 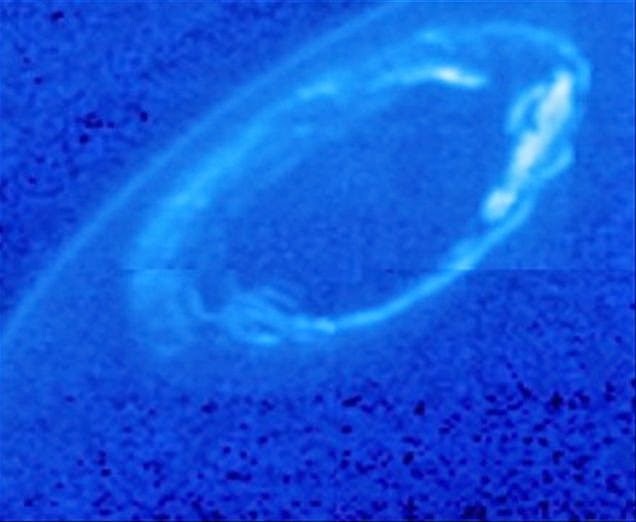 Saturn's polar auroras convert active when energetic electrons fall into the planet's atmosphere and strike with hydrogen molecules. Sometimes, a flash of fast solar wind, covered largely of electrons and protons, produces blushing aurora. In order to capture the northern auroras of Saturn in ultraviolet wavelengths, NASA used the Hubble Space Telescope. NASA’s Cassini spacecraft took close-up sights in infrared, visible-light, and ultraviolet wavelengths. Cassini might also see northern and southern portions of Saturn that don't face Earth.